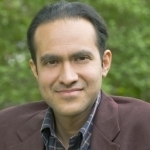 (HOST:) Commentator and UVM Professor Saleem Ali has been considering the efficacy of the hearings on Islamic extremism taking place in Washington this spring. Ali) New York Republican Congressmen Peter King has evoked strong responses across the political spectrum regarding the hearings which he is holding on the questionable rise of Islamic extremism in America. As a Muslim -American, I remain ambivalent about these hearings. On the one hand, I agree that if Muslims have nothing to hide, why not let the hearings proceed? On the other hand, there is genuine cause for concern about the atmosphere of suspicion that such hearings might foster. Much has already been written about these hearings and my purpose here is to consider the matter at a more panoramic level. For me the issue is one of due process and the role religious identity plays in politics. There is little doubt that religious and cultural organizations lobby in various ways across America. Muslim activist organizations such as the Council on American Islamic Relations or the Muslim Public Affairs Council have also been flexing their muscles in recent years. Yet when they try to voice opinions through such lobbying mechanisms about international conflicts in the Middle East, all too often they are accused of fostering sympathies with extremists. We have seen this as an emerging theme in the King hearings which has eroded their credibility. In my view what would have been more constructive is to frame these hearings around factors impacting the perceived alienation of Muslim youth, particularly men. The primary diagnosis in this context would likely involve an inability to find political voice through democratic means, particularly with reference to US foreign policy in comparison to other faith communities with similar population size. I am confident that representative King is sincere about his goal with these hearings but they are missing a bigger point. The causes of Muslim-American’s dissatisfaction that turns some towards extremism might be diagnosed as a lack of influence on US foreign policy through proper channels. The militarization of the Middle-East is perhaps the most potent foreign policy issue which Muslim-Americans have foryears been concerned about. One simple solution has been proposed by Republican Senator Rand Paul of Kentucky. I disagree with him on many matters but in this particular instance he has a bold and positive proposal — to cut all US military aid abroad. Senator Paul’s rationale for this is largely to cut the deficit but mine is to show that the US will not support questionable military desires, even among countries that we consider friends. I would welcome a hearing on such a proposal. At the end of the day, we need to consider not just proximate causes but ultimate causes of extremism. If only the King hearings could shed some light not just on symptoms but rather on systemic factors that lead to radicalization. (TAG) You can find this commentary by Saleem Ali at VPR-dot-net.